One of my favorite audio books! 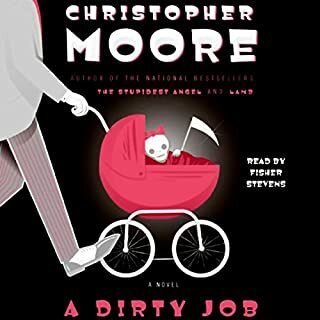 The story is hilarious, unlike anything else you've ever read or listened to, and the narrator is FANTASTIC -- his different voices for different characters really brings personality to the book. 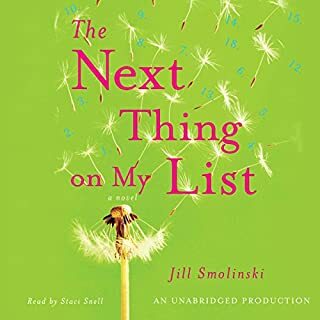 It's been a few weeks since I finished this one up and I find myself thinking back to different parts of it and recommending the book to others. A book about death probably shouldn't be so life changing... but it's just such a funny and charming story you can't help but root for the protagonist. If you are going to listen to this as your first Stephanie Plum book, I do NOT recommend it -- the series makes a lot more sense and is a lot more enjoyable if you read/listen to them in order as they refer to past adventures and rely on the reader already having a background knowledge of the relationships and characters. That being said, this was another great one -- though I love all of them, so I can't say I liked this one more than I did others (I actually don't count it among my favorites). BUT, all of the Plum stories are amusing and entertaining, and that's exactly why her readers keep coming back for more! Basically a story about your average doofy guy who runs really long races as his way of releasing steam -- lots of amusing anecdotes about running long distance races, so if you're expecting insight into what an ultra-runner might eat / drink / train like, you won't be disappointed. As a runner who listened to this while doing training runs for an upcoming marathon, I liked the story and found it motivating. 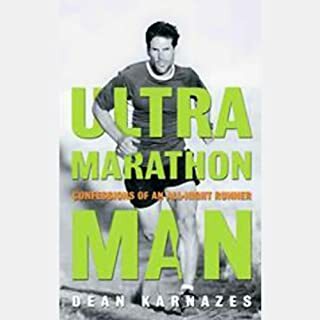 Most people who are into running at all know who Dean is at this point, so it was interesting to learn more about him as a person and how he became the runner he is today. Sure it's a little "I can run 226 miles", but if you could run that far, and did so, wouldn't you brag a little in a book about yourself? Since I listen both while I'm running and while I'm commuting, I go through a lot of books -- so I try to pick longer ones on occasion to stretch out my credits. WELL, though I like Koontz and have enjoyed other titles, this story line is soooooo loooonnnngggg and soooo drawn out that I found myself AVOIDING listening to it... even making excuses not to run bc I didn't want to wipe it from my iPod and then have to put it back on again. Bleh. There are better ways to pass time... this one is not a renter, in my opinion. A must listen -- what a cute story, in a good way! Very heartwarming and interesting the whole way through -- I listen both while I run and while I'm commuting and I found myself looking for reasons to keep listening to this story. A great "quarter life crisis" story that speaks to all of us in our 20's and 30's about our pressing need to get our stuff together... then getting out of our own heads to think about other people and it all sorting itself out. Evanovich fans rejoice! Stephanie Plum is back in town, along with her sidekick Lula, her Grandma Mazur, and an ever-widening cast of freaks, criminals, deranged felons, and lunatics looking for love. And just when Stephanie thinks her life can't get any more complicated, in walks the mysterious Diesel. A man who seems to show up at the most inconvenient moments. 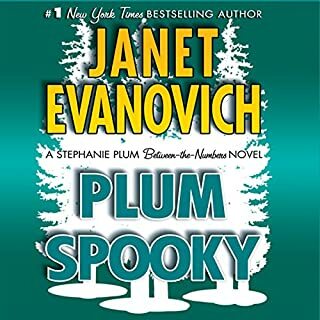 I am an avid fan of all of the Stephanie Plum series, including the "between the numbers" like "Plum Spooky"... but this one was a little slow moving. Still, the narration remains stellar and the storyline never fails to entertain!